A lot of games are often described either as dark and mature or light-hearted and humorous. I would say that Illusoria, an adventure platformer developed by Under the Bridge, is somewhere in the middle, set in a fairy universe threatened by darkness. Does the magic of the illusion work this time? Let us find out. Long ago a prophecy announced the arrival of the Puppet Master, an evil being who would destroy the world. The world of Illusoria is now in danger as the prophecy has come true. It seems that our hero, who is an amnesiac, is the only one who can defeat him. 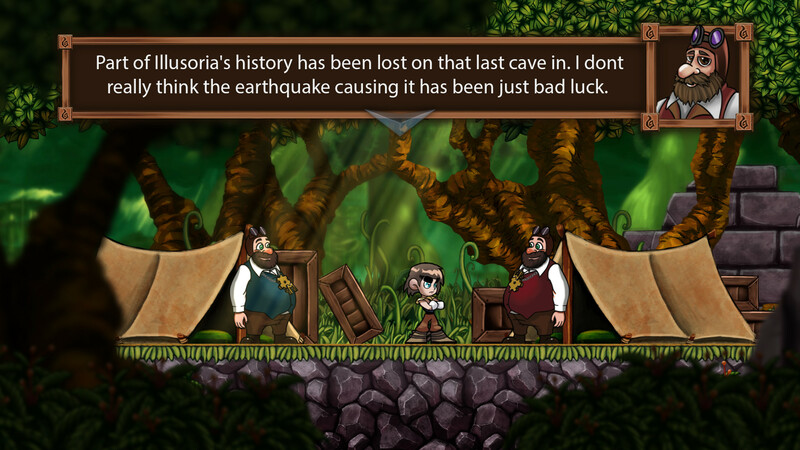 This adventure will lead him through mysterious temples, mazes and dangerous caves. 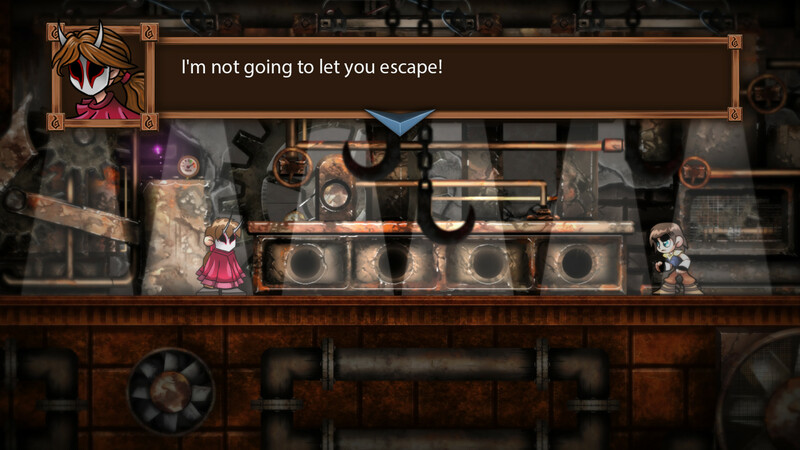 The environments of the game are rather beautiful and well drawn, and allow the player to become immersed in the adventure. They change constantly and each level is different from the previous one. But don’t let the beauty of the environment distract you too much, as the adventure will be challenging and hard. This mysterious masked rival will fight you several times during your dangerous trip. 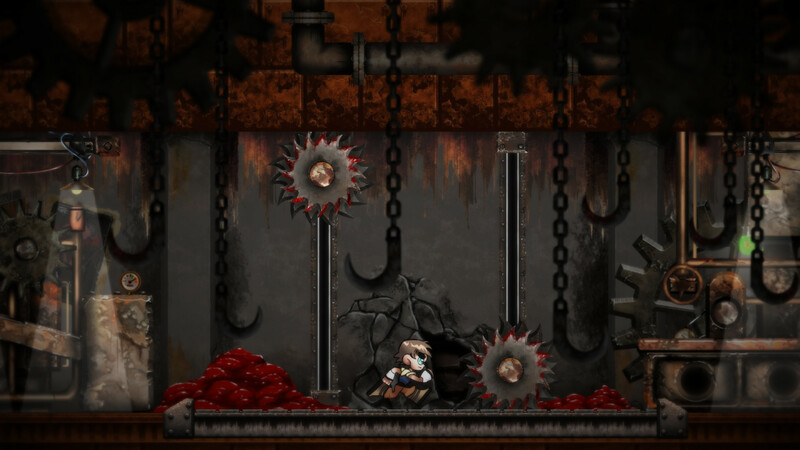 The hero starts the game without any weapon to defend himself, and you will have to carefully avoid monsters like giant mosquitoes or carnivorus plants at the beginning of the adventure. All of them have patterns which need to be learnt if you want to survive. Environmental hazards are numerous too, and you will often find yourself running, jumping and trying to avoid all sorts of traps, including boulders, falling stones, and spikes. That challenge is fine but is partly made harder by some issues with controls. Sometimes, for some unknown reason, the character can “shake” before starting to run. I cannot explain this issue and it is rather hard to point out what circumstances triggered the bug, but this was a bit irritating. Another problem is that while your character can run, he needs a lot of time to stop running and turn back. In a lot of modern games your character can make a U-turn quickly when needed, for example, to avoid a wall of fire. In Illusoria it takes about half a second for him to stop running and turn. You will get used to this inconvenience, and it can be unforgiving at times, especially around the end of the game. I have also noticed that my 360 controller stopped working sometimes, an issue that I could solve by pausing the game. Traps are numerous in the game. I really hope all those technical problems will be solved, because the game is otherwise rather entertaining, though some elements could have been refined or improved. For example, your character unlocks powers that help him access previously blocked areas and defeat monsters. However they are rather limited (you only get three in total) and are all centered around the fire element. For example, one lets you temporarily perform a flying move while being surrounded by a flame aura and another creates a small burst of fire. The fireball is your most useful power to face enemies. It is justified by the story, but I wish I could access a broader diversity of skills or powers in the game. 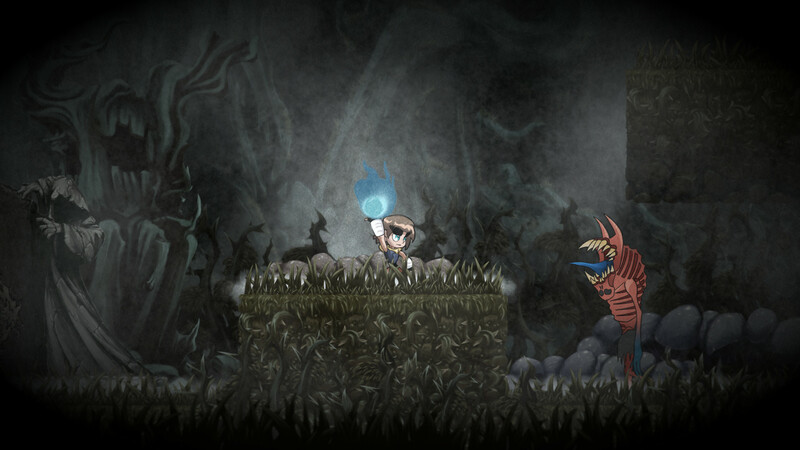 The game is described as a Metroidvania on its Steam page, but Metroidvanias often feature more diverse skills or abilities. I could also point out the lack of charismatic secondary characters as there are only four in the whole game; two scientists, a princess and her minister. The life span of the game is somewhat extended by the existence of two endings, one good and one bad. I have not been able to unlock the good one, but I suspect it requires you to collect and find specific items and characters. Those twin brothers will guide the hero, though they can sometimes look dumb. 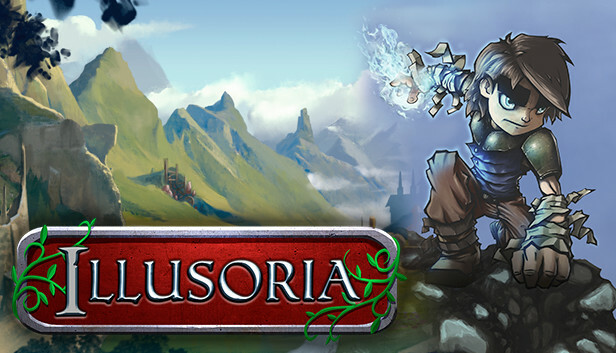 Illusoria is not the best game of its kind, but it is not a bad game and has wonderful art and music. The music fits the universe of the game and conveys a feeling of magic. If the few control issues that sometimes impact the gameplay experience could be fixed, the game would probably be a solid 3.5 or 4. Sold at the price of $9.99, Illusoria took me about 15 hours to complete, but may need more time to unlock the alternate ending or play in highest difficulty mode. If you are willing to enjoy a challenging adventure and the die-and-retry philosophy does not scare you, this game is worth trying.